October 3, 2006 marked a milestone for Stoney Creek, Ontario resident Rick Donmoyer for something he thought had long been left behind. That Tuesday, the only album his early ’70s rock band made was officially released on compact disc for the first time and with that, a new generation was introduced to the heavy, proto-metal sounds of Warpig. 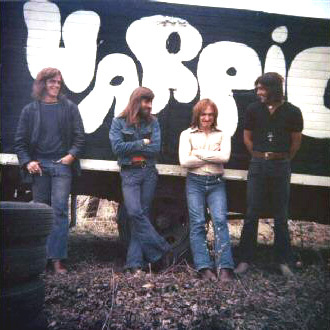 Warpig formed in Woodstock, Ontario in 1969 and remained residents there until the band’s 1973 breakup. 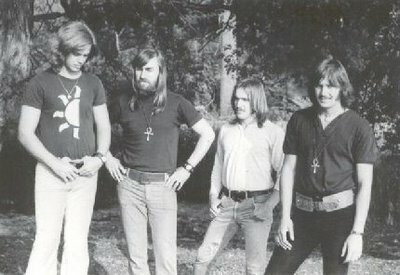 The small town was an unlikely home for the quartet, one of the heaviest Canadian bands at the advent of the ’70s. Influenced by the ’60s British Invasion, the heavier sounds of psychedelia and the newer heavy sounds coming from up-and-coming artists such as Deep Purple, Led Zeppelin and Black Sabbath, this progressively minded band played wherever they could between 1969 and 1972, including regularly here in Hamilton. Their performances are still spoken of in hushed, revered terms by those lucky enough to experience them first hand. The quartet released only one full-length, a self-titled album first out on Fonthill Records in 1971 and later re-released internationally on London/Polygram. The album spawned a minor radio hit with the song “Rock Star”, reaching the top 50 on RPM’s official Canadian radio charts, but the album had been out of print since the early ’70s. The only place it was gaining notoriety was in the hands of record collectors, who were paying big money for both legal and bootleg versions of the album. Over the past 20 years, the band entertained numerous label offers to re-release the album, but as founding member and guitarist Rick Donmoyer explains, none of them felt right. None until an offer from US indie metal powerhouse Relapse Records came through. Enter Relapse. While the label has made a name for itself releasing some of the most extreme grindcore and death metal bands on the planet, they have started to reissue a few select ’70s bands, starting with a two volume compendium of studio and demo recordings by US doom metal legends Pentagram. They felt the Warpig album a great follow up and secured it for reissue. “The interest at Relapse was very strong, but I didn’t have the time to deal with the business of all of it so after conferring with (keyboard player) Dana Snitch, we decided to get a hold of Robert Thompson, who produced the original album. We found him in Port Dover and asked him if he’d have the time to put a deal together for us. In the end he came back to us and said that Relapse seemed like a good one to go with so we started to put it together.” The agreement was made for Relapse to release a remastered version of the original album, but the master tapes were lost. Because of this, they decided to go all out and get the job done properly. Moore’s remastering job is top notch. The album is punchier and louder than the previous bootleg CD versions. It really shows how great a band Warpig was. Put together with a new package design that features new cover artwork and an extensive history of the band, the Warpig reissue is a monumental event. The reissue has brought the band back together. Originally published in VIEW Magazine, Hamilton ON, on November 16, 2006. An unconventional way to combine black, death and thrash metal into one, Singapore’s Impiety deliver a merciless fist in the face with their latest release. 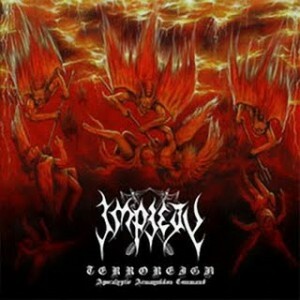 Impiety prove that they are the self proclaimed ‘Asian Elite Satanic Majesty’ with their combative musical style.